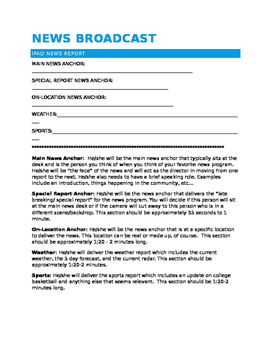 Get students excited about public speaking with a news broadcast activity. This activity allows students to practice effective delivery during public speaking with special attention to body language, voice, articulation, and pronunciation. 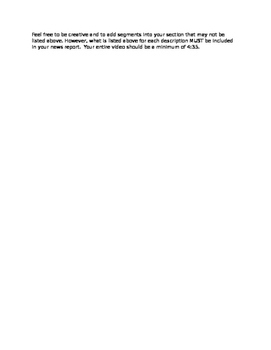 This comes in a word file so the document can be edited if needed.